Bored with your apps, looking for something new? Check out these 36 iPhone and iPad apps that were just released. 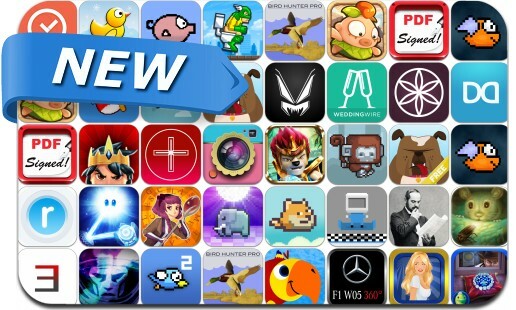 This new apps alert includes Out There, Caveboy Escape, Word Mage, Royal Revolt 2, Disco Zoo, God of Light, Bustr The Bulldog, Dapper, Magneto Calendar, Radius, Hidden Expedition: Smithsonian Hope Diamond and many others. From the creators of Tiny Tower comes Disco Zoo! Tiny Animals. Big Fun. Travel to regions around the world and collect everything from pigs to dinosaurs for your Disco Zoo. Discover hidden animals through casual puzzle play. Manage and expand your zoo to maximize earnings. Throw funky disco parties to get your animals and visitors groovin’!